Love Struck by Shelly Comiskey of Simply Shelly Designs is perfect for Valentine's Day! This 12-SKU collection features tossed hearts, lips, and of course, Cupid. Also included is a FREE download for a table set project (a table runner and placemats). These fabrics would make a lovely table runner or some cute zip pouches to hold little treasures. I make a cute Valentine table runner - for next year. Sweet lil bundle!!! THANKS FOR SHARING!!! So pretty! Thanks for having this giveaway! I think a table runner would be perfect! gorgeous prints perfect for valentine's! How sweet would this be in a quilt. Placemats and mug rugs would be so cute in this fabric. I like sewing projects for holiday decorating. Thanks for the giveaway! these fabrics are so cute, they would make a great fabric runner or placemats, I can't decide. This bundle would be so much fun to play with! I'd make Valentine's zipper bags for my grandchildren! Would make a really cute quilt! Oooh Love this bundle! How appropriate for Valentines day!! This is a beautiful line of fabrics! I would use them for a lap blanket. Beautiful fabric! I saw a pillow pattern today that this fabric would be perfect for. ❤❤❤ it! I would make my daughter a quilt for her baby dolls. I would like to make a table runner or wall hanging with this fabric. Beautiful. 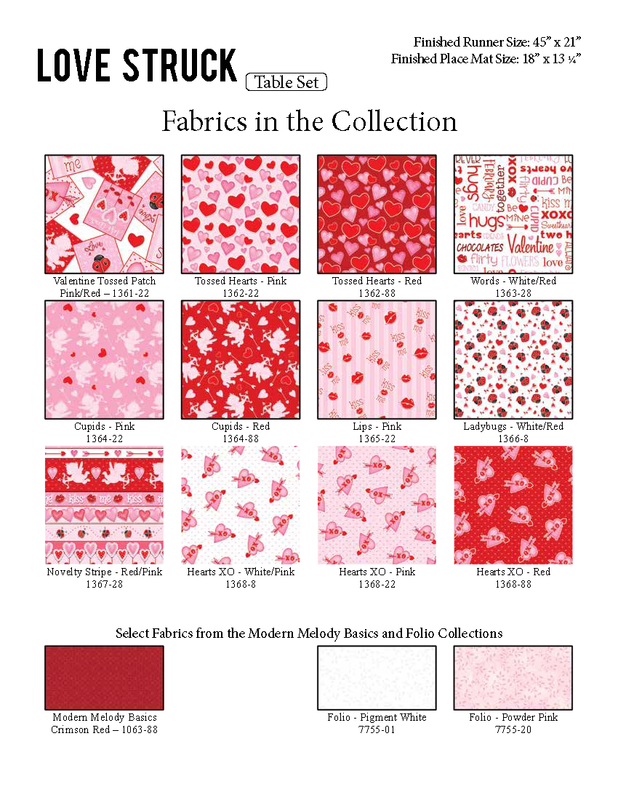 Ideal fabrics for Valentine mug rugs!!! Sew cute. I've never done a Valentine's Day project but sure would like to. Any sewn gift to convey love to the recipient! I would like to make a lap quilt with this lovely bundle! So cute! I'd make a Valentines wall hanging. I would love to make some placemats or a wall hanging! A baby quilt for a baby girl who will be born in July. I'd make a quilt for my sister who has a February birthday. Thanks. Such pretty fabric! Happy colours! I'd be making table decor for the holiday. Very pretty. Lots of projects come to mind but not sure which I would do. My granddaughters favorite color is pink. She would love these. This sure is awful cute Valentine fabric. These fabrics will make a great table runner or a sweet wall hanging. Love to make a table runner and pouches with any leftovers! Oh these would make some adorable placemats and snack mats to share with friends. Thanks for the fun!! A table runner and matching place mats!! Such pretty fabrics!! I would make a quilt for my granddaughter. Thanks for the chance to win. These are so pretty. A table runner would be lovely with these or a set of place mats. Lauralee Hensley here and if I were lucky enough to win these very Valentine feeling fabrics I'd definitely have to make something for little Olivia with them. Maybe a quilted vest and frilly skirt. This pretty fabric would be perfect for making a heart themed quilt. I think it would be so much fun to make a couple of table runners to share with friends and loved ones! What fun it would be to display them and surround yourself with love around Valentines Day! Hugs n Kisses by Quilt in a Day! Or Open Hearts by Lelia Boutique. Valentine fabrics are some of my favorites! I'd make a few runners and a pillow cover! I would make the patchwork heart table runner. Thank you! I would make a table topper with this fabric! Very nice!! These would make some wonderful Valentine runners. I can visualize a beautiful heart quilt with this pretty little bundle! I really love the colors of pink and red together. I’d like to make some pillows out of this. I would make pillow cases with this "LOVE" fabric. Love this fabric, would use it to make a table runner. This is adorable! I would make a runner and placemats, and maybe an apron. Thanks. A valentine table runner. Thanks for the chance to win. I would have to make a baby quilt or two... such a cute collection! These prints would make an awesome runner! The table set project is so cute with the Heart placemats. These prints would make this project so adorable and would look just lovely on the kitchen table. Thank you! I think I would have to try the table set project. Love the placemats. 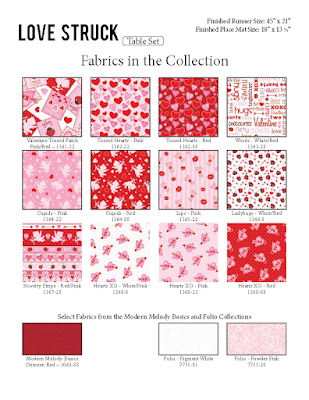 Valentine's Day fabrics are always so much fun! They'd make a great table runner. Spread the love with this little bundle - perfect for Valentine's runners!!! I'd make a cute little set of pillows out of this pretty fabric. i would make a valentine wall quilt. Scrappy heart blocks for my valentine quilt! I haven't made a valentine quilt for a long time. This bundle would be perfect and I have a darling grandchild who would love it to pieces. Thanks. i can see some cute placemats and napkins made out of this fabric. I would use them to make a table runner. I'd make a cute bed runner! Tea towels, hot pads, or placemats to name a few. Cute collection. I love quilts with hearts on them! Can you imagine making a heart themed quilt with heart fabric?! Sounds pretty wonderful! Pillows, table runners or quilts! Supe cute collection, idlove to make a baby quilt with this collection. Very cute fabric! Great for a baby quilt! Such sweet fabric! I would make some small gift bags to give Valentine's Day treats in. Thanks! I would make a table runner for the holiday. I would make myself a lap quilt. I love those beautiful fabrics. I would make a table runner or a baby blanket for my littlest sweetheart. Perfect for a cheery Valentines wall hanging or table runner. I would make a table runner. I need one for Valentine's Day, for next year. The name is fantastic, I wouldn't change a thing. Rafflecopter always makes it hard to enter contests. I love this fabric line! I need to make a Valentine's quilt for next year! So beautiful! I would make doll quilts and other doll-related items for my granddaughters with these fabrics. I would love to add this bundle to my Valentines Stash. 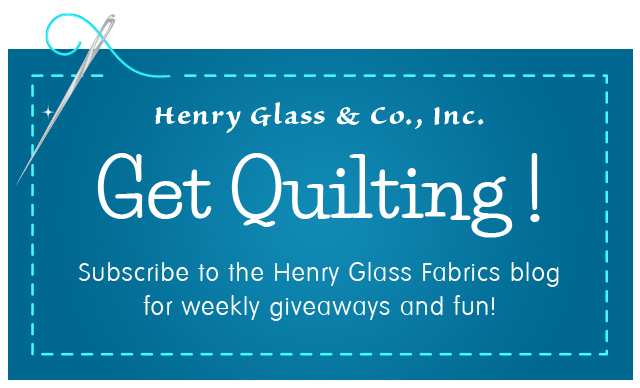 I just used up most of my Valentine fabric for a lap quilt sew this giveaway is great timing. Thanks! Such a cute collection for Valentine's Day. That's one holiday I don't have a quilt for.